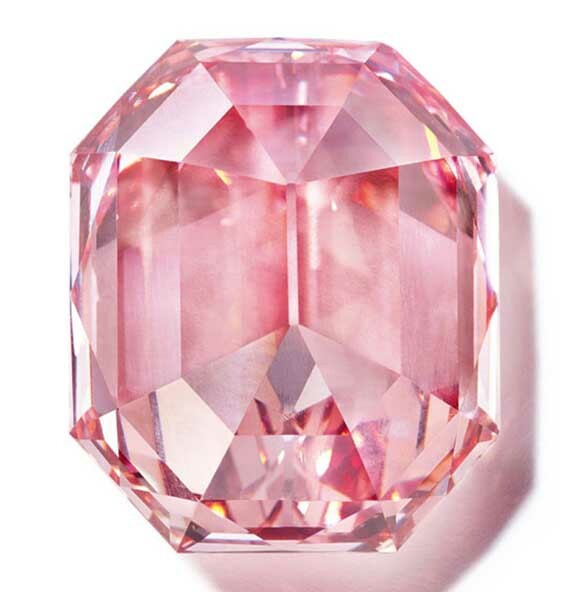 In the lead up to this week's highly anticipated auction of the "Pink Legacy," Christie's Rahul Kadakia had gone out on a limb and said the 18.96-carat fancy vivid pink diamond was "as good as it gets." Kadakia's evaluation was right on the mark as the vibrant, VS1-clarity, rectangular-cut gem was purchased by Harry Winston for $50.3 million, establishing a record price-per-carat for a diamond of that hue. When the hammer fell, the selling price at Christie's Geneva was at the top end of the $30 million to $50 million pre-sale estimate, and set a new record for fancy vivid pink diamonds at $2.7 million per carat. The previous record holder was the 14.93-carat Pink Promise, which sold at auction for $2.2 million per carat a year ago in Hong Kong. “We are proud to continue in the Winston tradition of acquiring the finest gems in the world,” Harry Winston Chief Executive Officer Nayla Hayek said in a statement. The winning bidder also appended the diamond's name. It will now be known as the "Winston Pink Legacy." 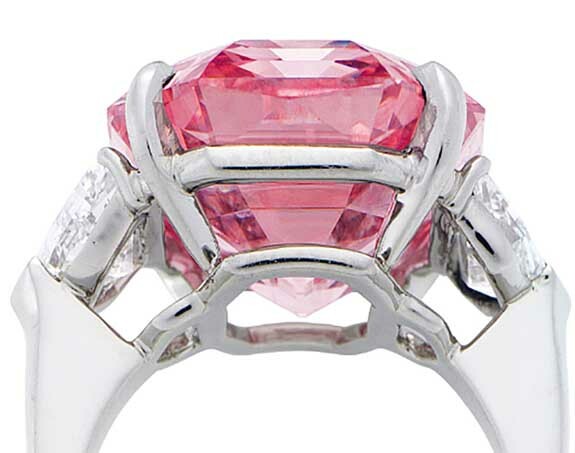 Once owned by the Oppenheimer family; famous for its connections to the De Beers mining company; the Winston Pink Legacy was discovered in a South African mine about 100 years ago and hasn't been altered since it was cut almost 100 years ago in 1920. The Winston Pink Legacy is the largest fancy vivid pink diamond ever offered at auction by Christie’s. In fact, over the course of its 252-year history, only four fancy vivid pink diamonds larger than 10 carats have ever appeared for sale.